Today you save per room €24.00. This way your flight to Crete will be even cheaper! Today you save per room €23.00. This way your flight to Crete will be even cheaper! 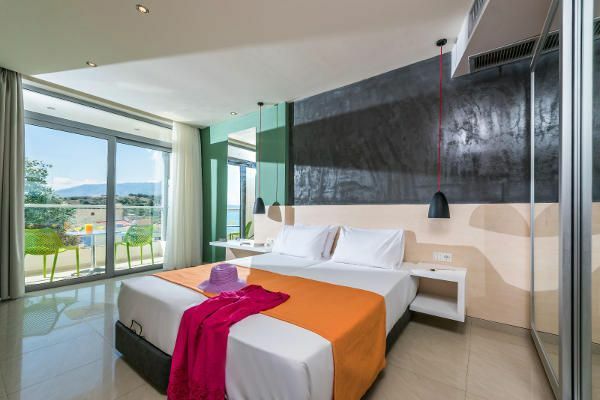 All rooms at Corissia Princess Hotel are furnished to a high standard and have a balcony with beautiful sea views over the Bay of Georgioupolis. The hotel is located only a few meters away from the wonderful sandy beach of Georgioupolis. Our double rooms contain a double bed (with separate mattresses) and are best suited for 2 guests. The room also offers air conditioning, bathroom/WC with hair dryer, a small refrigerator, Tv with satellite channels, free WiFi, telephone and safe.